Time for another Face of the Day. I actually wore this look out to a day party a few weeks ago. 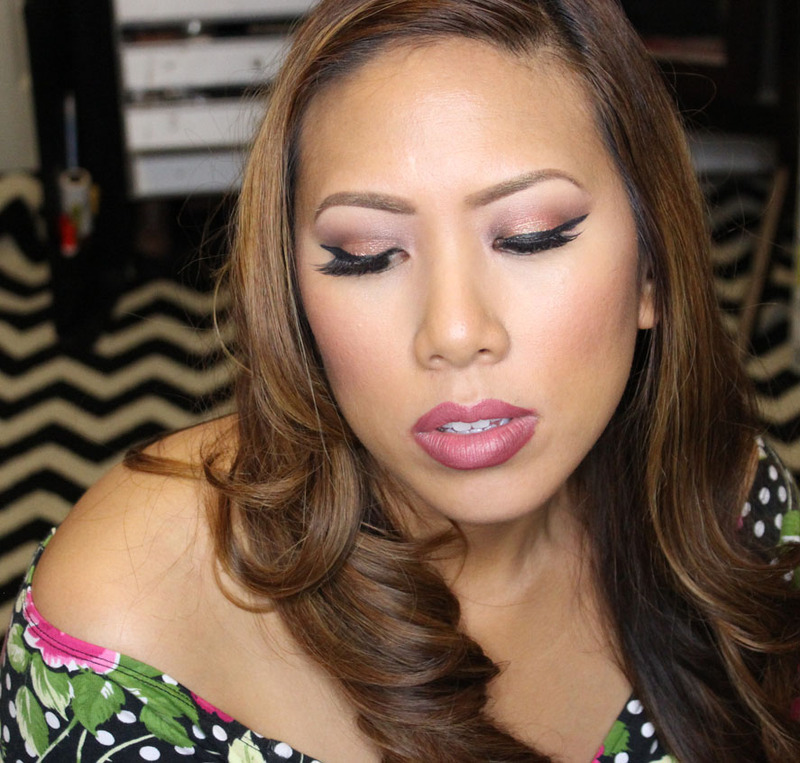 I definitely felt spring time glam, check it out! On the eyes I'm wearing Sugarpill's new Sparkling Loose Eyeshadow in Charmy with a bit of MAC Reflects Gold Glitter on Top. I love this rose gold shade for Spring. Of course I added some drama using my favorite lashes - Lady Moss Beauty Koko lashes in Goddess. 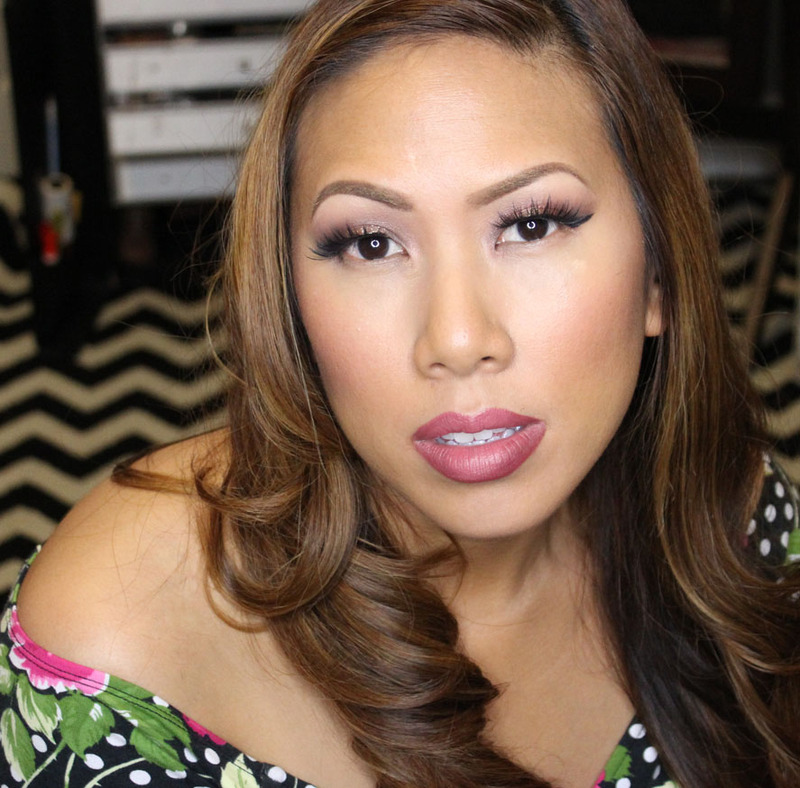 On my face I'm rocking CoverFX Oil Free Natural Finish Foundation in G70. On the lips - Graftobian Sultry Siren Lip Pencil (love this pencil lately!) with Alcone's Enduring Lip Color in Creme Brulee. I also pin curled my hair to get this modified Hollywood wave effect.